Building a trellis from two fence boards came about from a trip to the garden center with my wife. The trellises they sell just seemed over priced for something I could build using two $2 cedar fence boards. So armed with two fence boards and an ultimatum from my wife that this better not take me all summer to get around to, I was off, back to the shop. I didn’t really have much of a plan for how I was going to build it, it seemed pretty straight forward, so I just started cutting up the boards. The fence boards we bought where dog eared on the top, so I first started cutting the top off, which determined the height of the trellis to be about five and a half feet tall. Next I ripped both fence boards into sticks about a 1/2 inch wide leaving the last piece about 1 inch wide to be used as the horizontal supports. 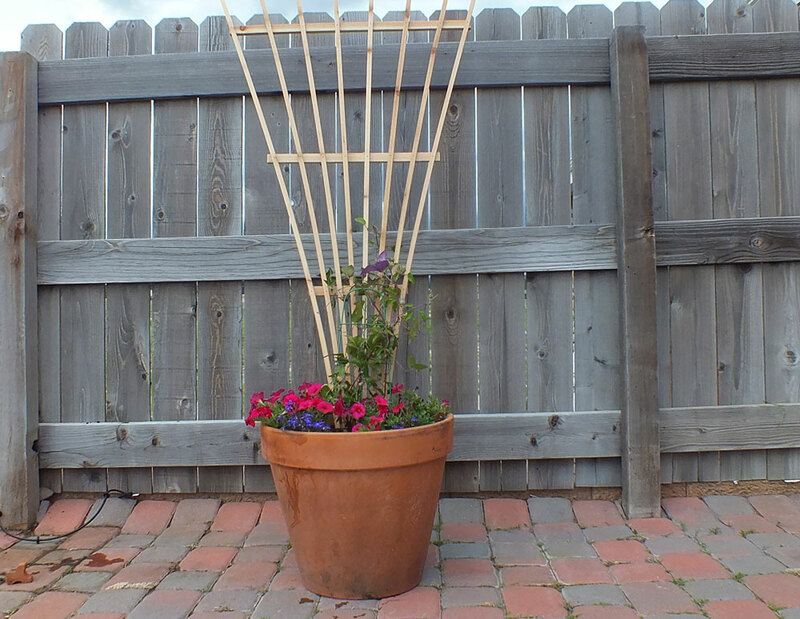 Since I didn’t have any plans on how to build it and I didn’t pay that close attention to the one in the store, I had no idea how many vertical sticks I needed to build a trellis. To determine this, I just started fooling around with different configurations until I came up with a number of sticks that felt appealing to my eye. I clamped the base together and clamped the clamp to my workbench, to hold it all in place. I then started spreading out the sticks until I had a nice fan shape and the stick where evenly spaced. 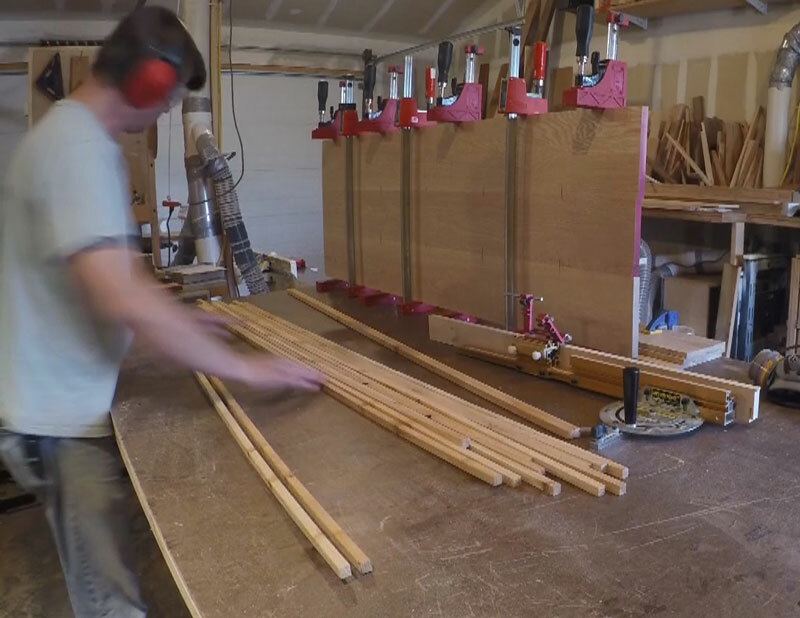 I held the sticks in place by clamping the ends of each one to the workbench until I was ready to nail them in place. 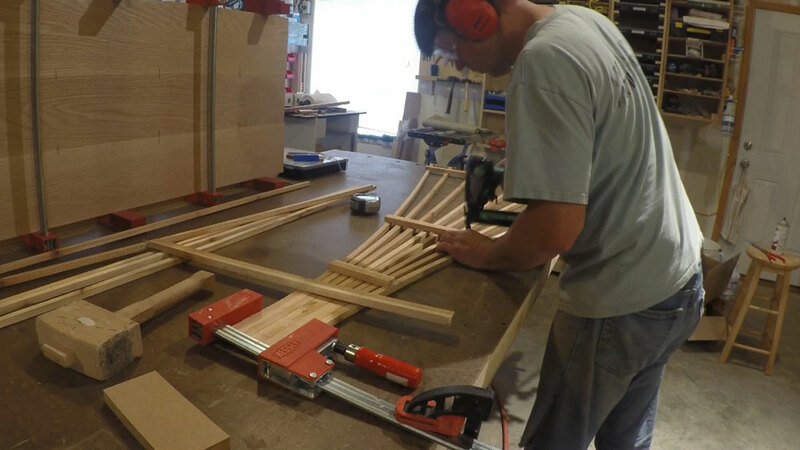 Once I had the top brace secured I started filling in the rest of the horizontal braces by eye balling what looked like a nice placement, cut them to length and nailed them in place. All in all, the build took less than an hour, and resulted in a larger trellis than what I could buy at the store. I just hope the little plant my wife picked out will grow into it. I did have enough pieces left over to build a smaller one, which I will save for another plant, or better yet sell it at a craft show. 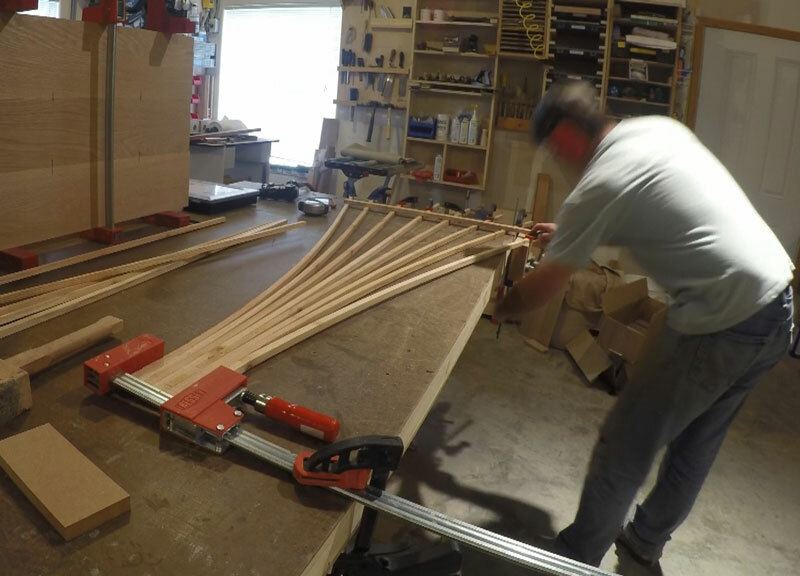 Below is a time lapse video of how I built it.